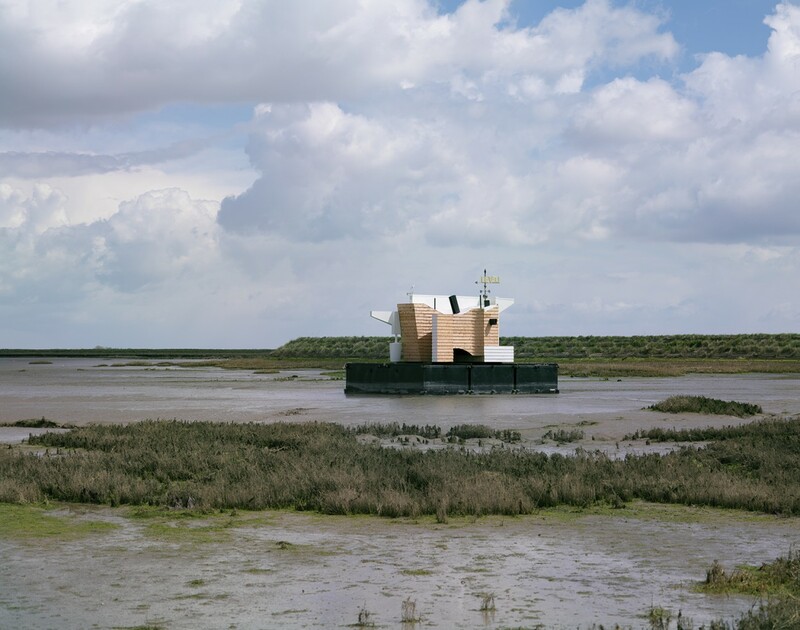 Flood House functioned as part projected future dwelling and part practical laboratory, monitoring the very particular weather conditions of the Thames Estuary in southeast England. 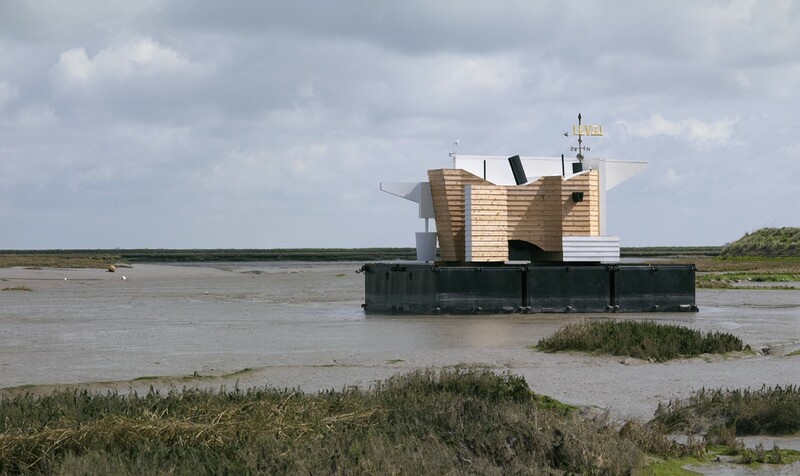 The design of Flood House referenced the architecture of the Estuary including fishing sheds, WWII pillboxes, bunkers and Maunsell naval sea forts. 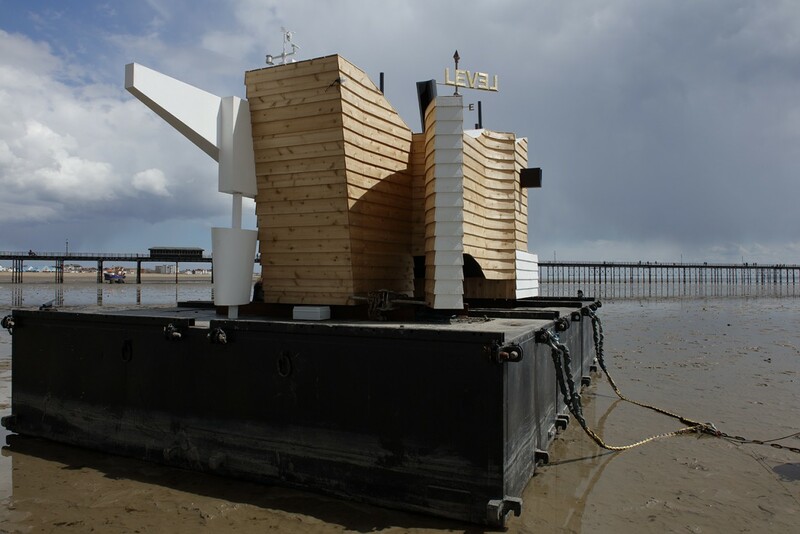 It measured 5.5 meters by 7.5 meters, and was fabricated in ply and weatherboard, and floatsed on three steel pontoons. 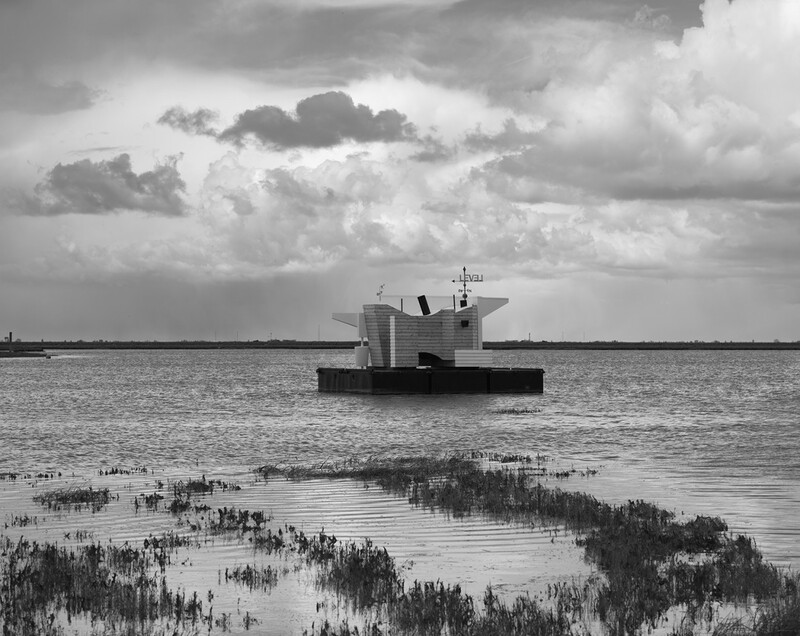 The structure was moored at various sites in the Estuary in April and May 2016, drifting from mudflat to mudflat as if in a future flooded landscape. 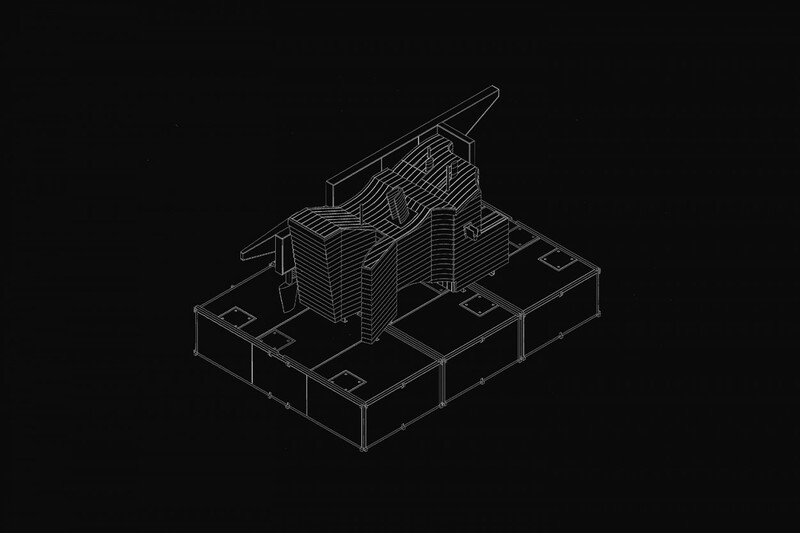 The project was conceived in collaboration with Dr Rokia Raslan and Dr Jonathon Taylor at the UCL Institute for Environmental Design and Engineering (IEDE) and was funded through an award from the UCL Bartlett Faculty of the Built Environment Materialisation Grant Programme. 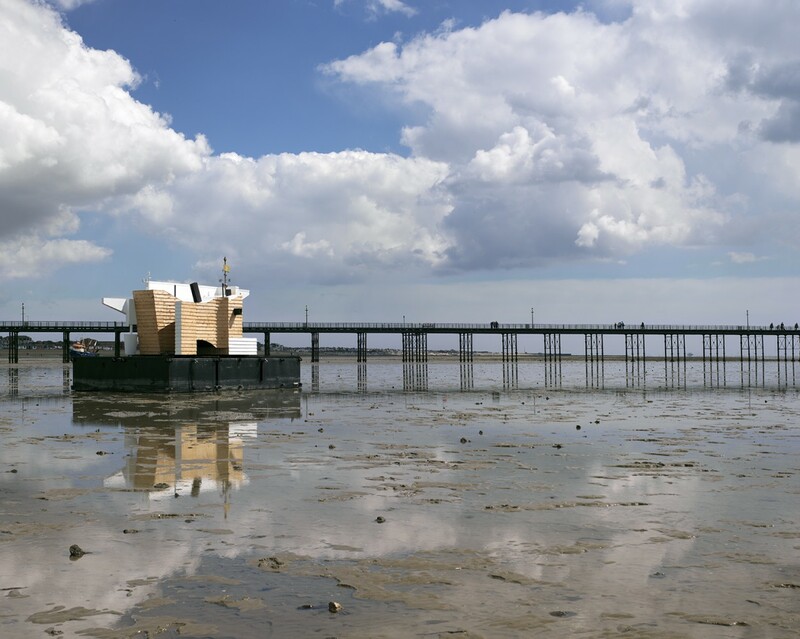 The project was developed with independent curator Jes Fernie and Focal Point Gallery in Southend on a programme of commissions and public events developed in response to the project. 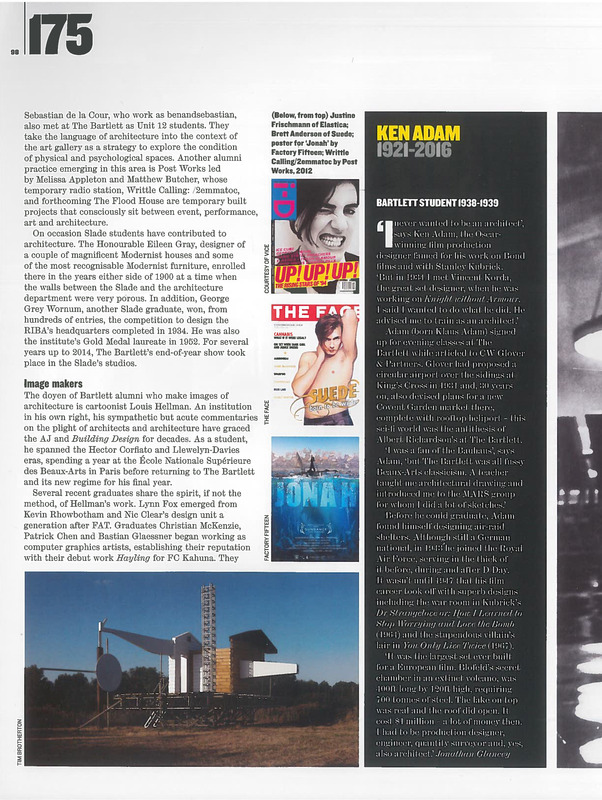 Flood House was part of the Radical Essex programme which aimed to re-examine the history of Essex in relation to radicalism in thought, lifestyle, politics and architecture. Led by Focal Point Gallery in partnership with Visit Essex and Firstsite, events will take place across the county in 2016 and 2017.